One of the questions we often hear from users who are new to A/B testing is what should they test. This does seem like a simple question but it can be quite baffling to the new-comers. This post is one such attempt to narrow down certain options to test, the changes that worked for others might work for you. The change here that we are talking about is testing having a video on homepage or product page. Previous case studies prove that it usually works wonderfully. One such case study is video increases conversion rate of a landing page by 46% and in another one they tested two call to actions ‘Watch the video’ v/s ‘Get Instant Access’ and found out that the video one increased newsletter signups by 28%. 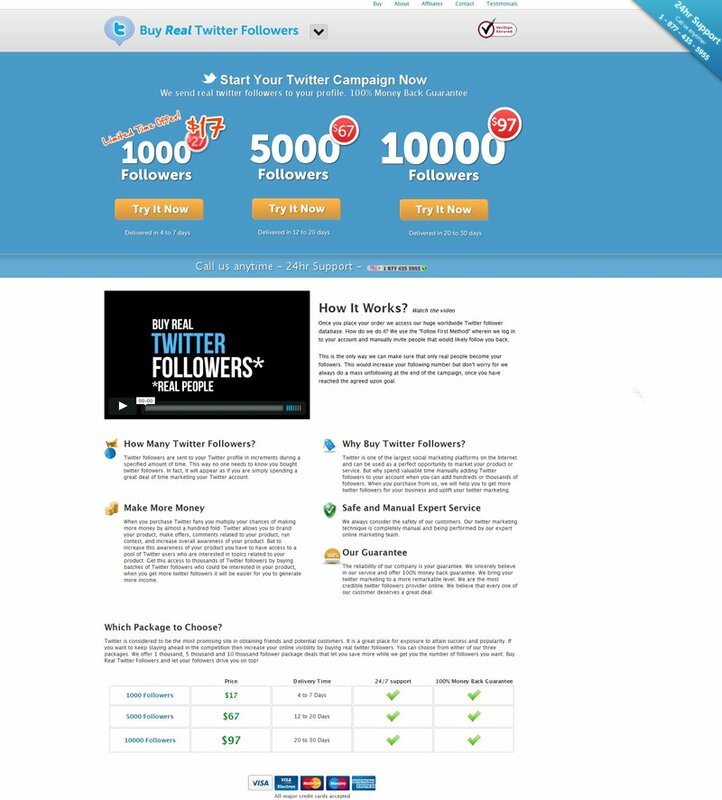 In this latest case study, one of our clients Buy Real Twitter Followers made a variation with a small video explaining about their service on the homepage. This little change helped them increase their sales by 216%. 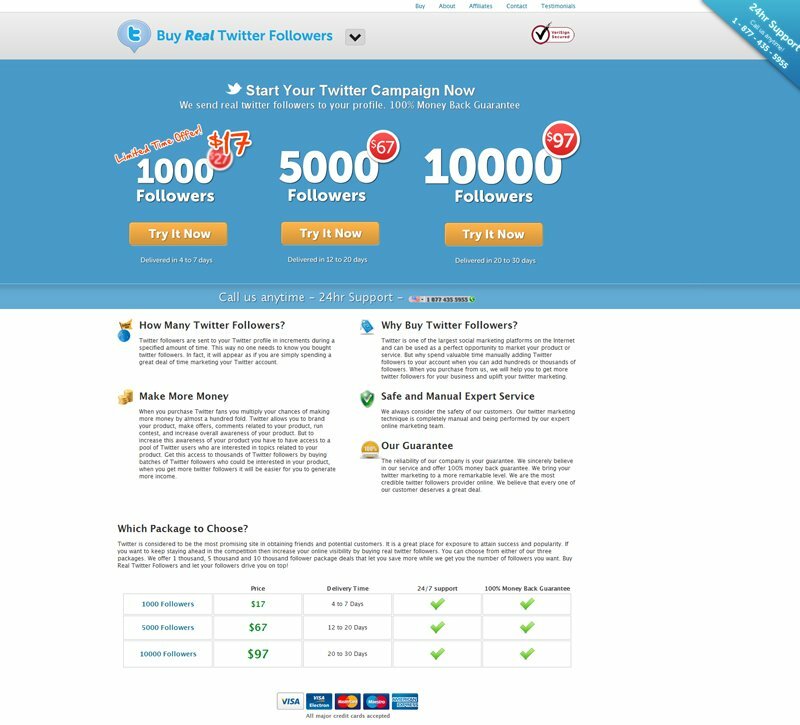 Buy Real Twitter Followers was formed as a response to the need made by the growing Twitter advertising market. Getting Twitter followers has been a large concern by many network marketers and businesses whose primary aim is to advertise through Twitter. Visitors usually tend to skip the blocks of text. This case study only goes on to prove that users much rather prefer to see the video for the product validation than reading block of text to get the gist of the product. As always, everything is open to testing and the idea is to find what change benefits the most. Let us know what you think about this case study in the comments below. Founder and Chairman of Wingify. Thanks for sharing this post. Gives me new idea about optimizing web! Excellent post. We are hoping to begin our video a/b testing soon and this helps. I have always wanted @Wingify to add a video on your home page with a simple 1minute inro video about the product.